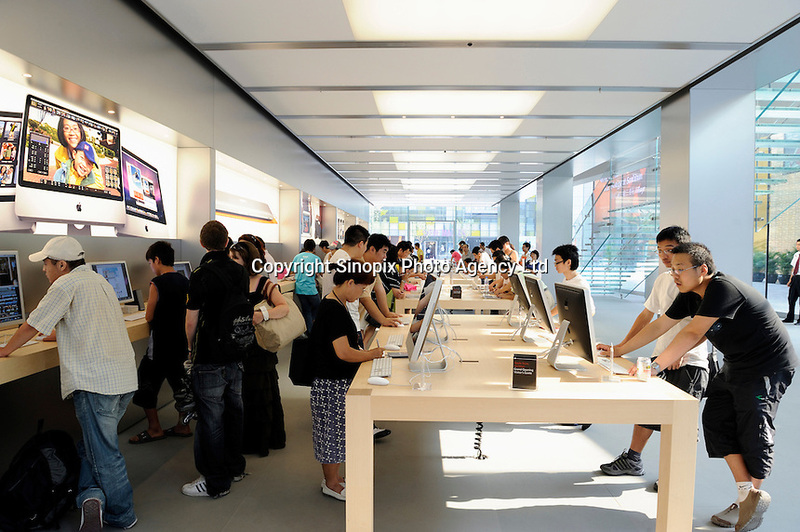 Apple Retail Store, at a new retail development called the Village at Sanlitun, attracts many locals in Beijing, China. Apple unveiled its first store in China to the media on July. But it does not have the iPhone, a common product in Beijing where it's smuggled in, as the company is still trying to hammer out an agreement with Chinese carriers..